Based on the natural law of octave identity, the (so called) process of the occuring octave allows musicians to adjoin tone and tempo, analogous to the octave, in each periodic cycle. This method can be applied for example to the rotating orbit of the planets or to the molecular spectrum. In Egypt the tradition of ancient, harmonic practise of music was used in ritualised healing processes and meditation. 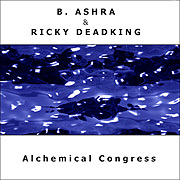 In their creative, music practice, the musicians B. Ashra, Tommelon, Eru (aka Ricky Deadking) and Akasha Project are exploring the effects of planetary and molecular tunings. 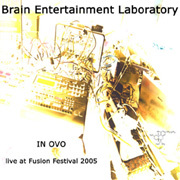 Since the mid-90's, both as soloists and as a group, they have been artistically active exploring sound and releasing several works under the name Morphon, Brain Entertainment Laboratory (B.E.L.) 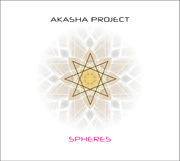 and Sphere-Ra. 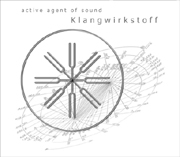 The label Klangwirkstoff offers particular access to the experimentation in contemporary harmonic music thus constituting a network for the tuning of music which spans the micro- and macrocosm of audible possibilities. incl. tax + shipping: 1,90 € for germany, 4,30 € worldwide. for order please write an e-mail with your adress and the catalog number (e.g. : KW001). We send you an invoice incl. our account number or PayPal-adress. We accept pre payment and PayPal. Support your label and order direct here. 1. 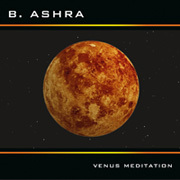 Venus Meditation – 62:00 min. 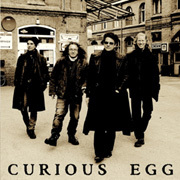 booklet-text, reviews and shops at our extra-page. reviews and shops at our extra-page. 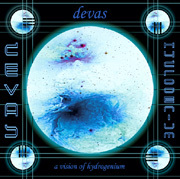 Record Release Party 30.09.2011 in Berlin please go to "news"
On their debut album A Vision Of Hydrogenium Devas presents a molecule scoring based to the series of the hydrogen atom, calculated by Johann Jakob Balmer. At this the spectral data was calculated and transposed into the human hearing ranged by Hans Cousto. 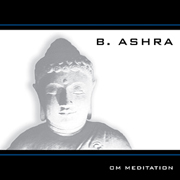 The idea behind his newest CD, Om Meditation, is to act as an aid for meditative and therapeutical exercises. It is an invitation to relax and harmonize with one's surroundings. 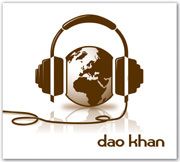 Through minimalistic modulations the sound changes gradually --- the amount of tones has been consciously reduced in order to open up the listener's world for personal experiences. 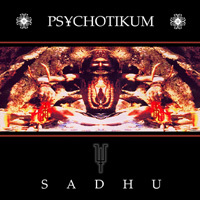 (Thus this production focuses on supporting meditations or spiritual exercises, rather than being a distraction). 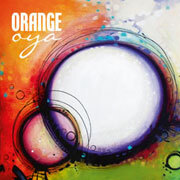 'Om', which is an exact overtone of the tropical earth year (earth's orbit around the sun), is the root tone of a large part of classical Indian music. It is a C-sharp with -31.38 cent and has a frequency of 136.10 Hertz. 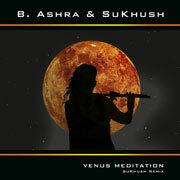 The CD running time of 62 minutes also coincides with the cycle of many meditations. 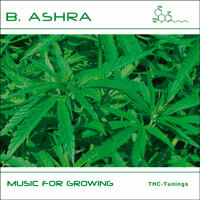 B. Ashra has been a successful and well-known tone sculptor and sound alchemist for many years. 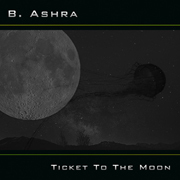 Along with his Ambient Solo Project (called B. Ashra) he works with many groups including 'Brain Entertainment Laboratory', 'Morphon', 'Toshra' and 'Psychotikum'. 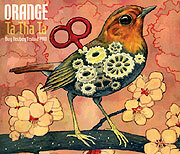 He uses the name Robert Templa for his solo techno project. Apart from his many varied music projects he does professional mastering and runs the label Klangwirkstoff Records with his friend Tom Woelke. 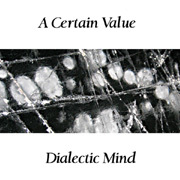 This CD contains spherical electronic ambientmusic with a philosophic background. 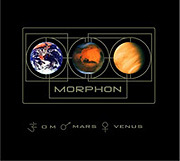 With their project, Morphon, Eru (electronics and guitar), Tommelon (electronics and guitar), and B. Ashra (electronics) are exploring artistically the mental and physical effects of natural vibrations and rhythms (for example, planetary cycles). pictures of the release party and shops at our extra-page. 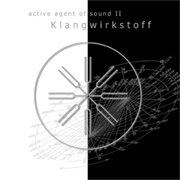 With this ambient double CD, Klangwirkstoff brings together widely varied international music projects, all of which are working with a harmonical topic. 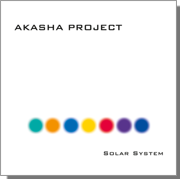 The planet tones on this CDs are acoustical exponents from our natural cosmic surroundings and our focus on them brings us into harmony with the way of things. 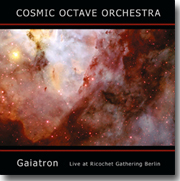 Music tuned to molecules, like planetary music, is composed in accordance with strict harmonical rules and is based on existing harmonic structures and the natural laws which govern the 'cosmic octave'. The basic principles of this musical scoring bases upon Hans Coustos calculations, who found the octave-analogue frequencies related to the 6 mainspectra (main resonances) of the THC Delta 9 molecule. The spectral analysis is the admitted scientific method to classify molecules and to calculate their resonances. 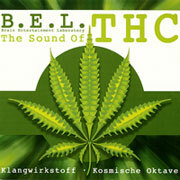 This active agent of sound (Klangwirkstoff) is a homeopathic-acting media. As usual B.E.L. 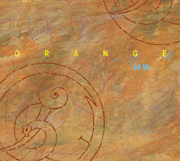 transfer this calculations into a Live-Ambient-Dub session going from electronic to bizarre. With that first Online Release the Label Klangwirkstoff from Berlin showcase themself. 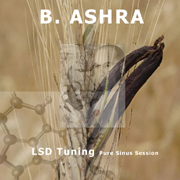 The multimedia show "The Sound Of LSD" is an LSD molecular dubbing by B. Ashra. Trig Fardust created the visual part. 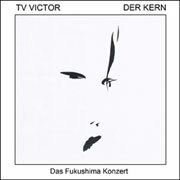 The show was performed live at the festival "75 Years LSD Anniversary" 2018 in Basel. 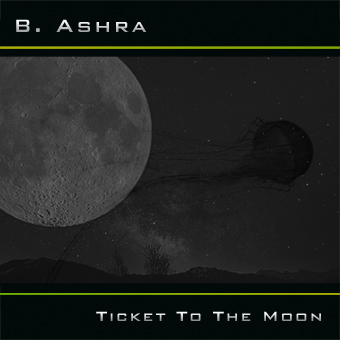 From the audio-visual live performance, this album and a 60-minute video was created. Exactly 1 year later, on 19.04.2019, the Bicycle Day, this setting is now published. USB Stick preorder please by email inclusive. your invoice address: order(at)klangwirkstoff.de with subject "video". USB Stick incl. 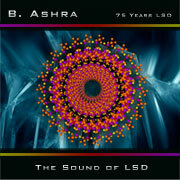 Video by Trig Fardust and exclusiv Album "The Sound Of LSD" ls 24 bit version and cost 29.90 Euro + shipping. 1. 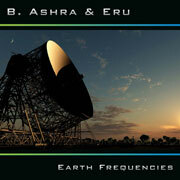 Earth Frequencies – 42:52 min. 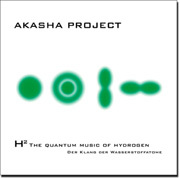 Hans Cousto has based the sound of THC on the exact calculations and is a conceptual recording tuned to the spectral maxima of the Delta 9 THC molecule. They are homeopathic essences of frequencies, which are supposed to release the known psychotropic effect of THC through the sense of hearing. This is the sound and rhythm of pure vibrations of the cannabis plant itself, integrated into a sound collage, which is created with ambient, dub and spherical guitar playing. 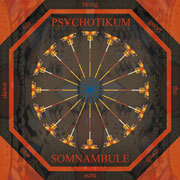 A very different Klangwirkstoff, which invites the listener to an invigorating journey of self-discovery. The sound of THC is a soundtrack for the ambitious smoker and with conscious use can become therapeutic in its effect on body and mind. 2. Rauka - Wild Mix	17:39 min. 3. Rauros - A Drone	8:36 min. 4. Rauka - Disciplined Mix	17:35 min. 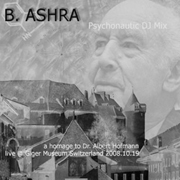 This especially psychonautic DJ Set was live created for an exhibition and event in honorary to Dr. Albert Hofmann at the Giger Museum Switzerland - 19.10.2008. 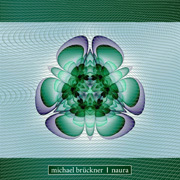 Contributor: Stanislav Grof, Nana Nauwald, Hans Ruedi Giger, Trigger.ch und B. Ashra. Caution! This music contains hemisphere synchronisations (hemi sync), these can activate epileptic seizure if you're an epileptic. At Klangwirkstoff Records we release functional music based on: cosmic octave, hemisyncs, binaural beats, planet tones and molecule dubbing. SBKWDIGI005 Tobi Morare - On It! 01. Der Kern Teil 1 - 21:39 min. 1. Monks Part1 43:25 min. 2. 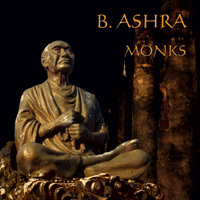 Monks Part2 (feat.Travis McMurphy) 21:51 min. special thanx to Master BamBang Tanuwikarja (Kung Fu Academy Berlin), Travis McMurphy (Monks Part2) and Ilona Kowalschek for artwork.